World Fellowship Center in the White Mountains of New Hampshire is a warm and welcoming family retreat that has provided a place for progressive folks to discuss the issues of the day since opening in 1941 with the theme, ‘In a Time of War, Prepare for Peace’. 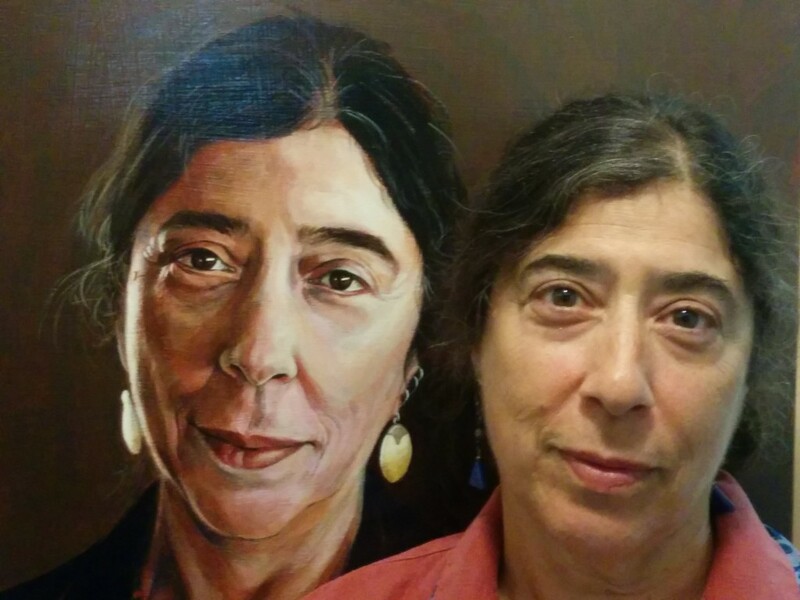 For several years the portraits of Robert Shetterly, part of a project entitled Americans who Tell the Truth, http://www.americanswhotellthetruth.org/the-artist, have graced the halls of the main house and this summer my portrait was included, along with folks like Edward Said and Peter Kellman. This week I was invited to present a reading from On the Brink: Israel and Palestine on the Eve of the 2014 Gaza Invasion and I combined this with readings from my most recent blogs on Gaza and the UN reports on the realities of the Gaza assault. I provided an on-the-ground picture of the run up to war and the consequences of that war, as well as an examination of the impact of racism within Israel and an intimate portrait of the occupation. 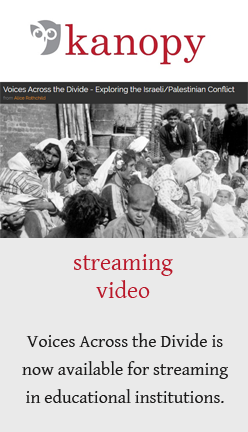 The following morning I screened my documentary film, Voices Across the Divide. I found the audience interested, engaged, somewhat knowledgeable and eager to discuss issues ranging from the Intifadas, the boycott, divestment, sanction movement, the impact of the Birthright program for young adults, and the US military industrial complex. We explored the making of the film, the importance of understanding nondominant narratives. People wondered how Netanyahu could get elected, why Israel is moving right, (think fear, racism, neoliberal politics, growing power of the ultraorthodox and the Christian right, US support, and don’t forget to examine our flawed political process. Reagan? Bush x 2?). We examined US foreign policy in the Middle East and the continued inheritance from European colonialism and many wondered, what is the strategy for Gaza. Clearly “mowing the lawn” and restricting reconstruction will only continue the catastrophe and the dangers of rising militancy. I reviewed the growing “intersectionality” in the movement; the real estate company ReMAX was selling a house down the street from WF but you can also go on their website and (if you are Jewish) buy a home in occupied East Jerusalem or a settlement! The private prison industry, G4S, builds prisons in the US as well as Israel and has a poor track record when it comes to human rights, child prisoners, torture, etc. Our police, funded by the Jewish organizations ADL and JINSA are receiving training in Israel and coming back to our cities and acting more like militarized occupiers (think Black lives matter) than protectors of civilians. The big question is how to counter Israeli hasbara and how to get this discourse into temples. 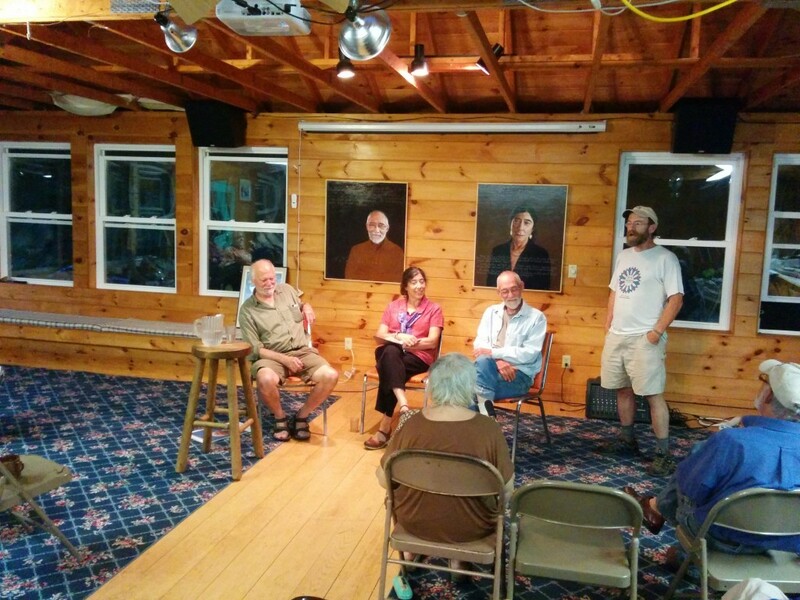 The day ended with a presentation and conversation with Robert Shetterly, Peter Kellman, and myself as we sat in front of our portraits. (Pretty amazing.) Robert has traveled all over the US exhibiting his portraits in schools and teaching young people about activism. Peter is a longtime civil fights, labor, and antinuclear power activist, member of SNCC and Clamshell Alliance. We were asked to reflect on our lives, our inspirations, our need to speak out on challenging concerns. I stressed the importance of basing activism in a supportive community; this work can never be done alone. The evening was interrupted by a torrential downpour beating on the metal roof, as if the weather goddess was also demanding to be heard, or perhaps applauding our efforts, maybe reminding us to pay attention to global warming.